How Do I Change Flashlight Brightness On iPhone? It's Easy! 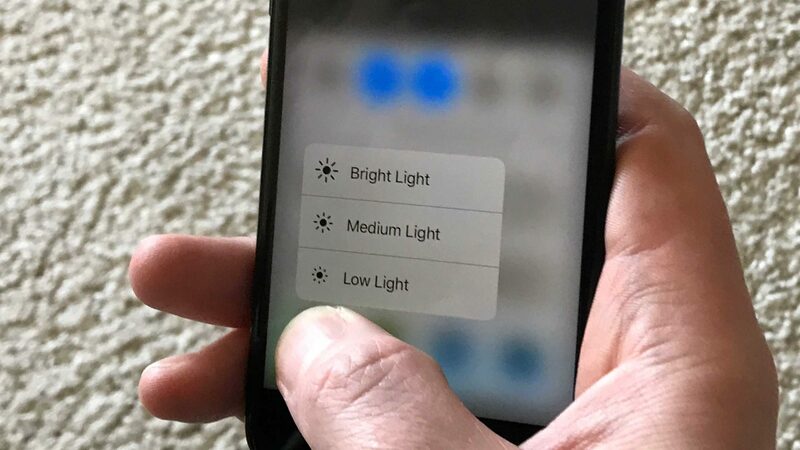 You are at:Home»iPhone»Tips»How Do I Change Flashlight Brightness On iPhone? The Easy Way! How Do I Change Flashlight Brightness On iPhone? The Easy Way! Everybody loves the iPhone flashlight, but did you know that you can choose how bright you want it to be? If you have an iPhone 6S or newer and the latest version of iOS, you can can choose Bright Light, Medium Light, or Low Light. 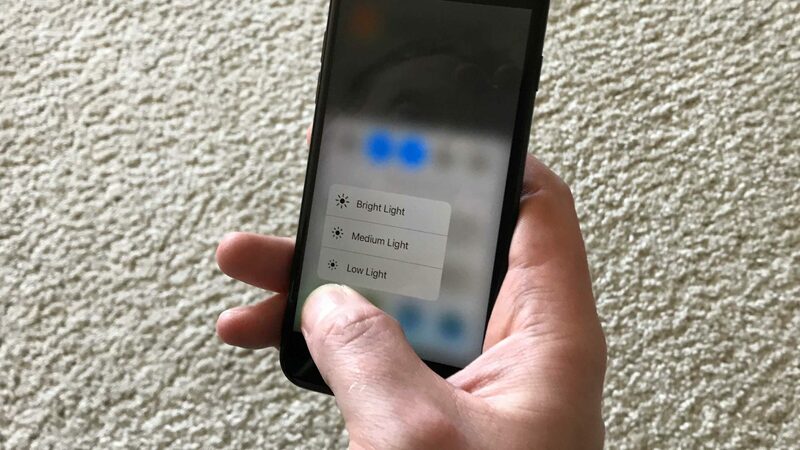 In this article, I’ll show you how to change the flashlight brightness on an iPhone so you can pick the brightness that’s right for you. Have An iPhone 6S Or Newer? You Can Do It. Only iPhones with 3D Touch have this feature because the menu only appears if you press down firmly on the flashlight icon in Control Center. If you have an iPhone 6S or newer and iOS 10 or newer, you can change the brightness of your iPhone’s flashlight. If the flashlight brightness doesn’t appear when you press down on the icon, press harder! This can feel funny at first, especially if you’re not used to pressing down on your iPhone screen — but you’ll get used to it. How Do I Change Flashlight Brightness On iPhone? 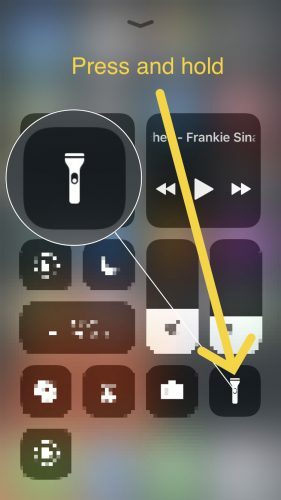 To change the flashlight brightness on an iPhone, open Control Center by swiping up from the bottom of the screen and firmly press down on the Flashlight icon. Choose Bright Light, Medium Light, or Low Light from the menu and the flashlight will turn on. 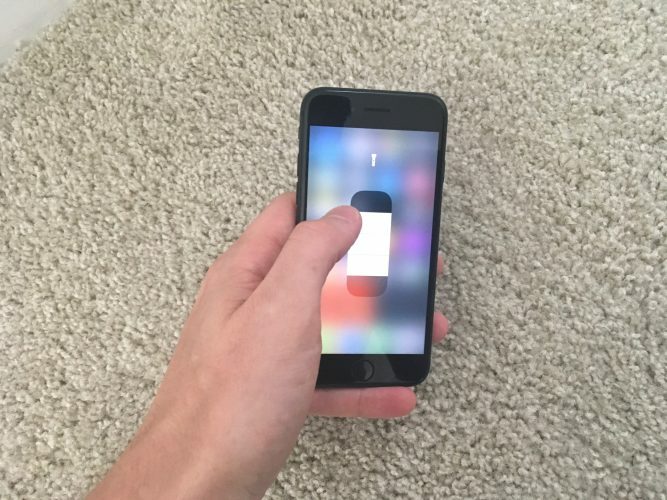 First, swipe up from the very bottom of your iPhone’s screen to open Control Center. You’ll see a flashlight icon in the lower left hand corner. 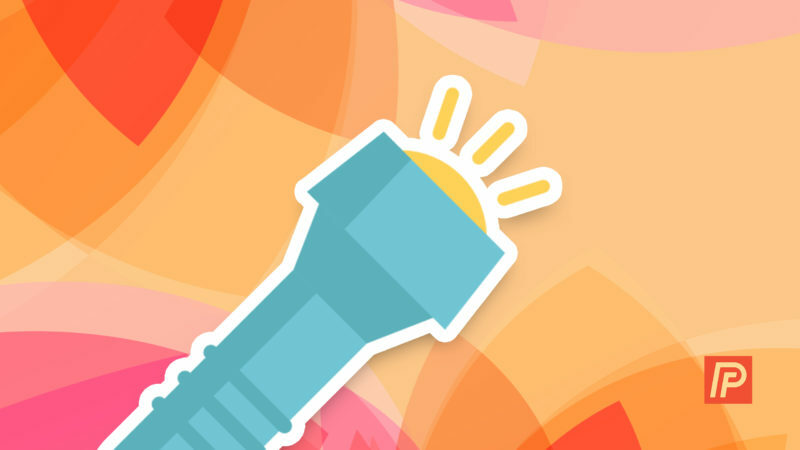 You probably already knew that tapping the icon will turn the flashlight on or off, but this step may be new to you: Press down firmly on the flashlight icon in Control Center to open the flashlight brightness menu. The flashlight brightness menu lets you choose how bright you need your flashlight to be before you turn it on. This can be a big help for parents who may need to find something in their child’s room but don’t want to wake them up. Tap Low Light, Medium Light, or Bright Light to choose your flashlight brightness, and the flashlight will turn on. First, open up Control Center by swiping from below the bottom of the display of your iPhone. Then, press and hold the flashlight button until your iPhone abruptly vibrates. Finally, select the brightness level you desire by tapping it or by dragging your finger vertically on your iPhone’s display. The higher you go on the slider, the brighter your iPhone’s flashlight will shine. Does My iPhone Save My Flashlight Brightness Setting? Yes, and no. When you choose a brightness setting, your iPhone flashlight will remain saved at that level of brightness until you turn your iPhone off and back on. When your iPhone reboots, it reverts back to Bright Light. The iPhone flashlight’s default brightness setting is Bright Light. 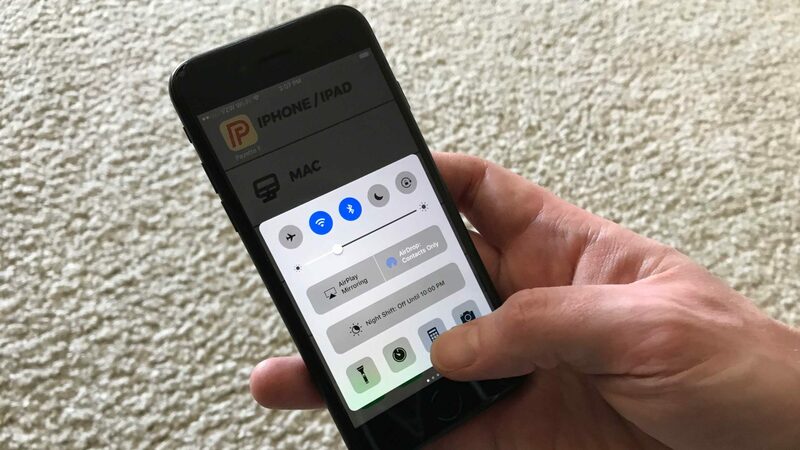 Whether your iPhone flashlight was too bright or too dark, you’ve learned how to make your iPhone flashlight brightness just right. This is a trick to “wow” your friends with, so share it on Facebook or show them in person — they’ll love it either way. Previous ArticlePandora Won’t Load On My iPhone! Here’s The Real Fix. Next Article How To Copy And Paste On An iPhone: Everything You Need To Know!